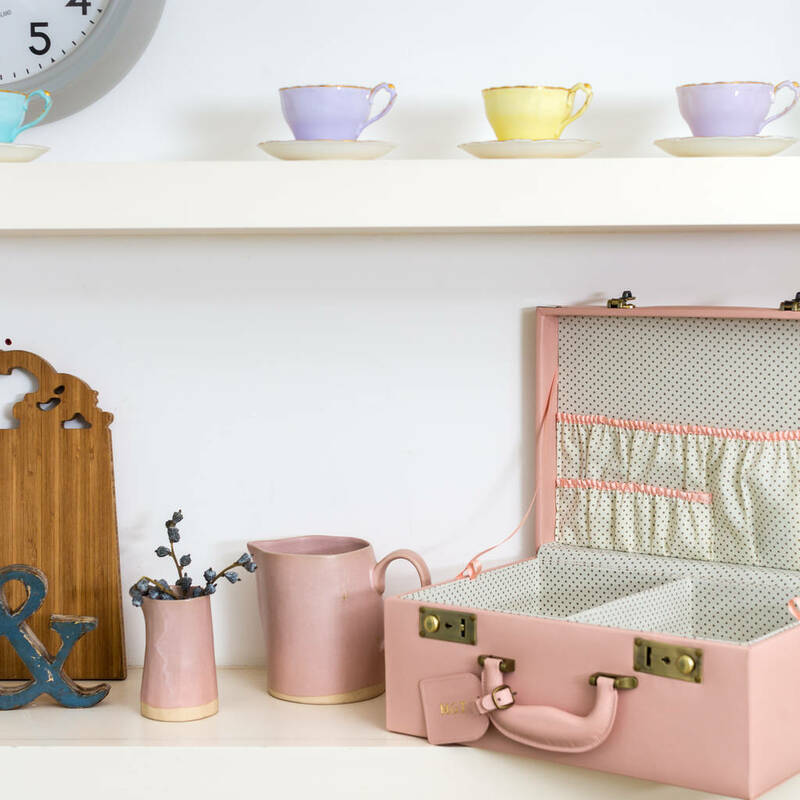 A beautiful wedding keepsake box by meminio lined with a nostalgic dotted print. Capture the special moments before and after the big day. 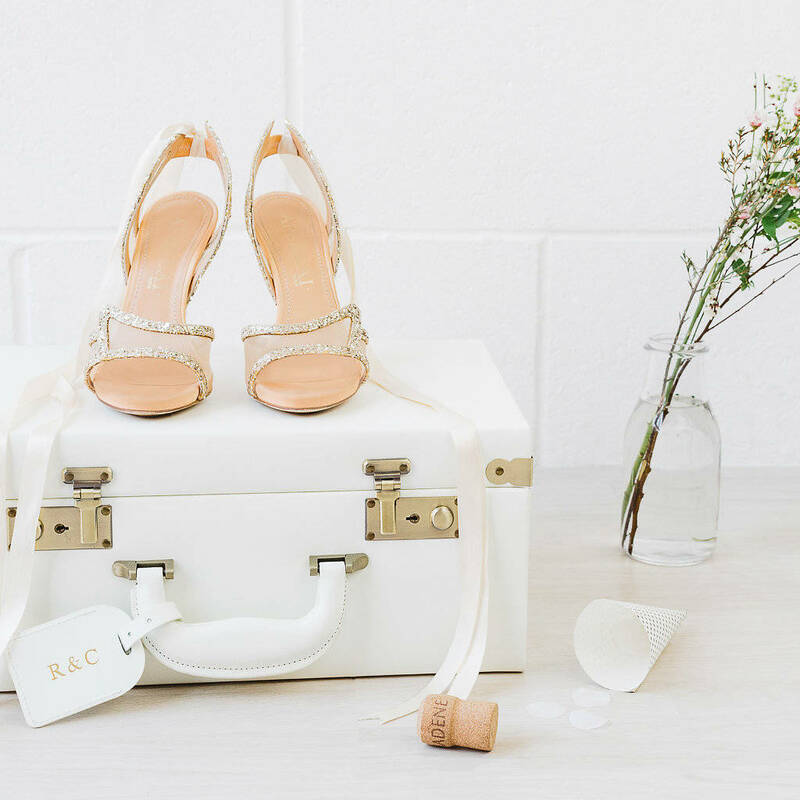 Invitations, orders of service, champagne corks, wedding cards, veil, shoes are just a few of the keepsakes that can be looked at time and time again. 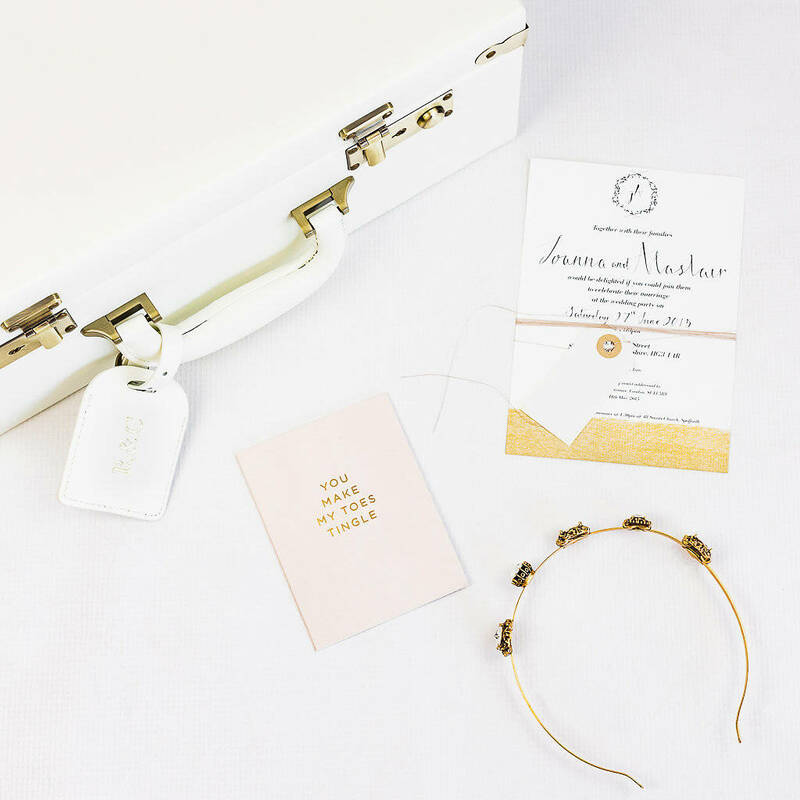 Personalise the luggage tag with the special couples initials (eg: A & E) or a name. 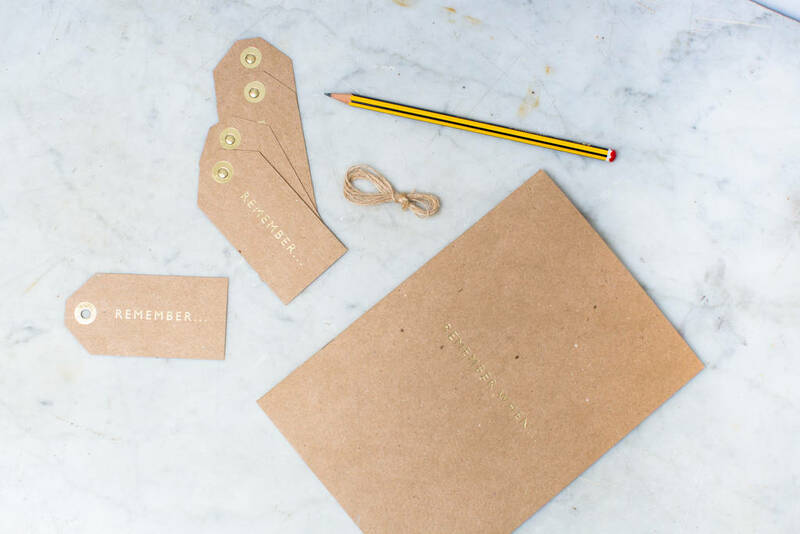 Choose our gorgeous gold embossing with letters or you can add a significant date. Have up to 5 initials (capital letters) or a combination of 15 letters/numbers (8 letters per line) on a tag. The perfect gift for the couple to remember their special day. So beautiful it can be left out in the home to be looked at time and time again. 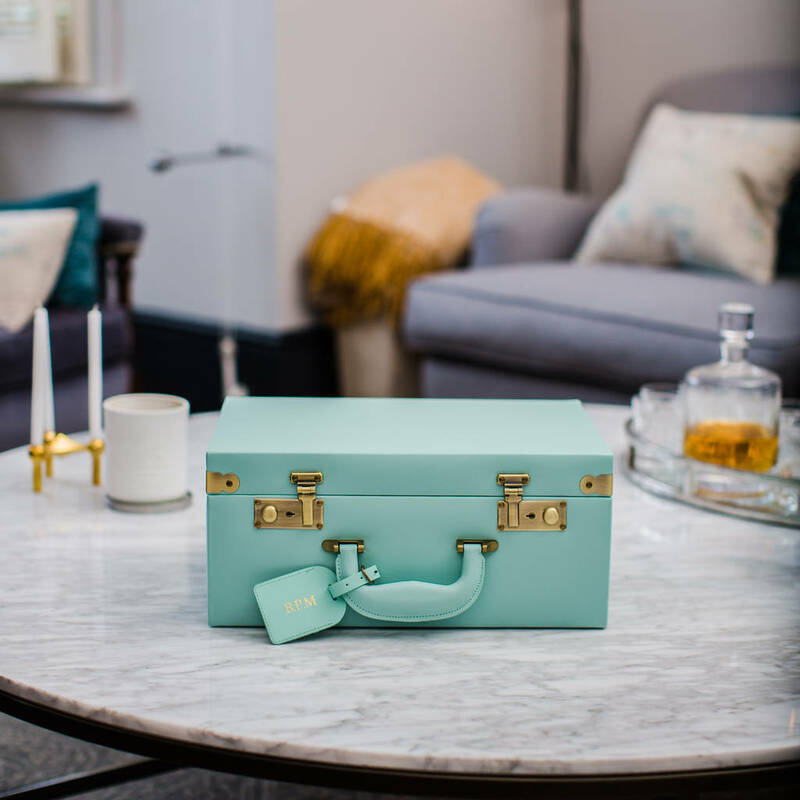 The Wedding keepsake memory box is covered in bonded leather. Make this an extra special gift set by adding a memories notebook. Covered with bonded leather and lined with cotton. The Wedding Keepsake Memory box measures H18 x W36 x D26 cms. This product is dispatched to you by meminio.